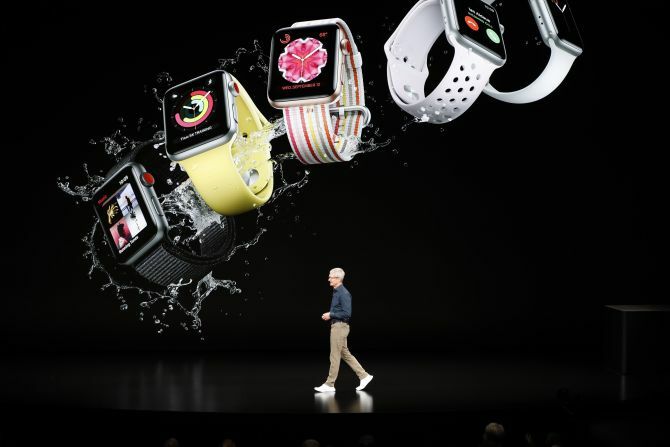 Apple on Wednesday launched the Series 4 of the Watch and three phones -- iPhone XS, XS Max and XR -- at the Steve Jobs Theater in Cupertino, California. The event kicked off with the launch of the Apple Watch S4. 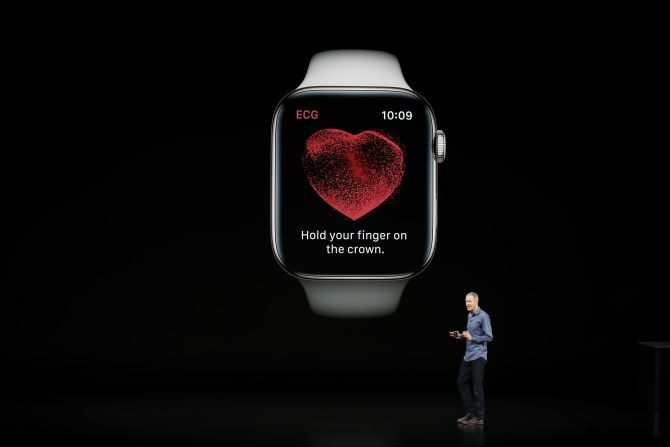 Speaking at the occasion Jeff Williams, chief operating officer of Apple, said, "It's amazing to think that the same Watch you wear every day can now take an ECG." "I am pleased to say that we've received clearance from the FDA. The first of its kind to have the heart rate alerts," he added. Now you can take an ECG anytime, anywhere. You open the app and put finger on the digital crown. Built-in electrodes on the back and crown detect electrical impulses from your heartbeat and it will send them to S4 chip. It takes 30 seconds, and then you get a heart rate analysis. The Apple Watch Series 4 GPS will be available in 26 markets at launch. Apple continues to pitch the Apple Watch as a health tool and not just a sidekick for your iPhone. The new Apple Watch’s crown dial now has haptic feedback that subtly clicks as you turn it, and the speaker has been upgraded. It can determine a fall, generate an alert and send out an emergency call. “Identifying a fall sounds straightforward, but it requires a large amount of data and analysis. With falls, there’s this repeatable motion pattern that happens. "When you trip, your arms go forward; but when you slip, your arms go upward,” said Williams. The new accelerometer and gyroscope look out for these signs, and the Watch pushes the option for calling emergency services if it spots them. If there’s no movement at all for the next minute, it calls emergency services automatically. While the speaker gives better connectivity and sound, its larger screen gives richer and vibrant displays. The iPhone X has “changed the industry” and became the “number one smartphone in the world”, Cook told the audience. iPhone Xs features a 5.8-inch screen, while the new Max gets a huge 6.5-inch screen. Both sport OLED display tech for incredibly colourful pictures and videos. The new chip at the core of the iPhone XS is the A12 Bionic, which is produced using a 7 nano-meter chip. The phone is not only faster than ever-before, its massive display is perfect for watching movies, playing games and editing pictures. Besides a richer sound experience, it also comes with improved Face ID. 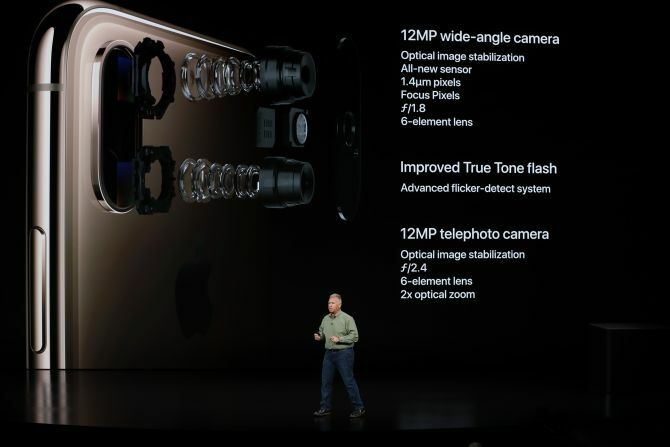 It also sports a remarkable new dual camera system, 12 mega pixel camera, improved true-tone flash, 12 MP telephoto camera, 7 megapixel rear camera. 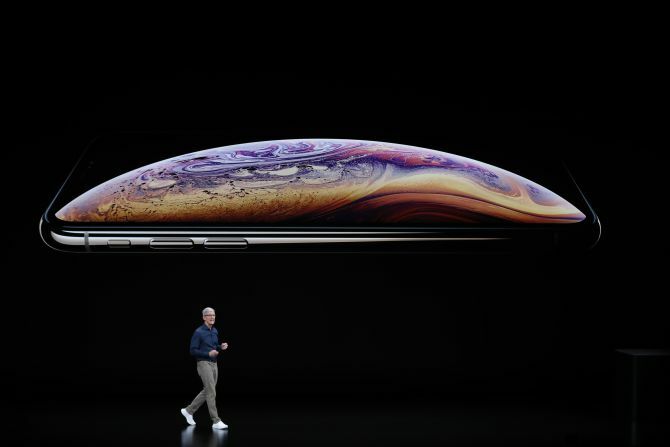 Besides, the iPhone XS has 30 minutes more battery than the iPhone X.
Apple also announced the iPhone XR, a cheaper alternative that replaces the expensive OLED screen with LCD display.